Since my last update, the entire crew over at Twins Turbo have been working real hard transforming the Team Need For Speed RTR-X from looking the part at SEMA to being ready to hit the track\street. 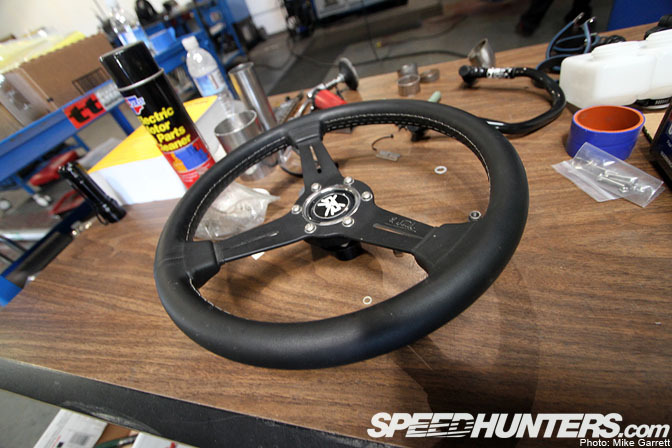 We are now coming down the home stretch and it is almost time to take the RTR-X out on it's maiden voyage! 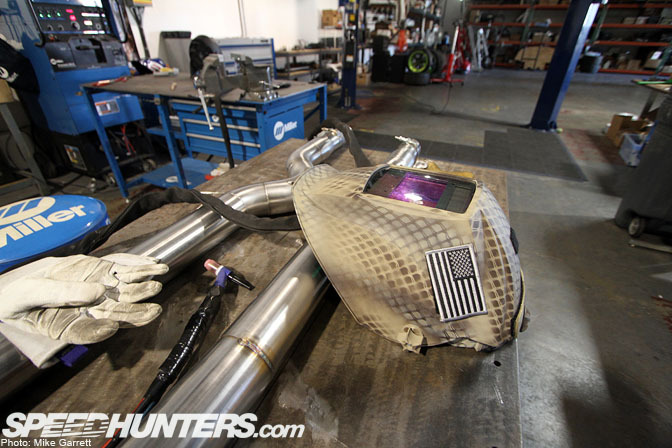 One of the larger challenges the Twins were faced with was fabbing the entire exhaust system from the headers to the mufflers. This required many hours of Koz in this position. Using his favorite tools, doing what he does best. Creating masterpieces that metal nerds like myself drool over. 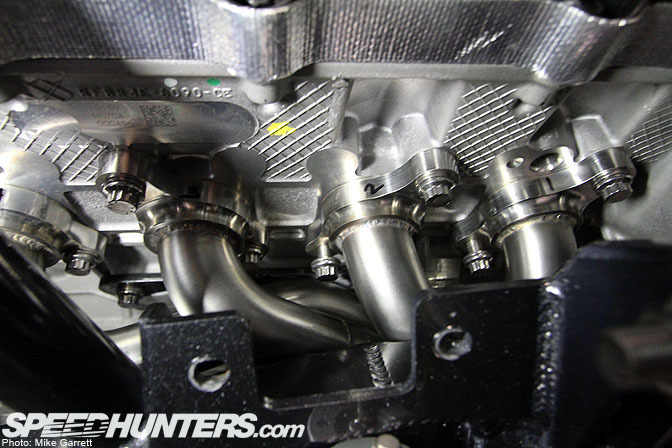 I feel this picture is worth a thousand words and should explain the challenge of building headers for the RTR-X. how headers were gonna be showhorned in that tight spot. 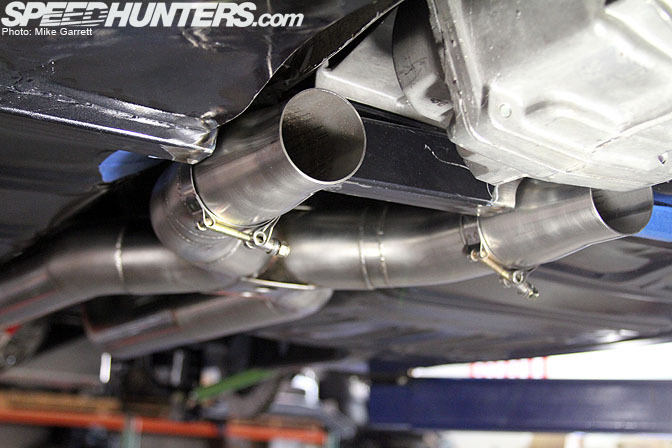 The entire exhaust all the way to the mufflers including the collectors you see here, were 100% fabbed up from raw materials. I would say that Koz is a certified metal magician. Koz… you will get your certificate in the mail in 7 to 10 days. Here you can see how each bank was crafted into a true "4 into 1" setup. One thing we could not have was the exhaust scraping on every pebble in the road or getting ripped off coming out of a gas station, so we had to keep it as tight as possible to the body. 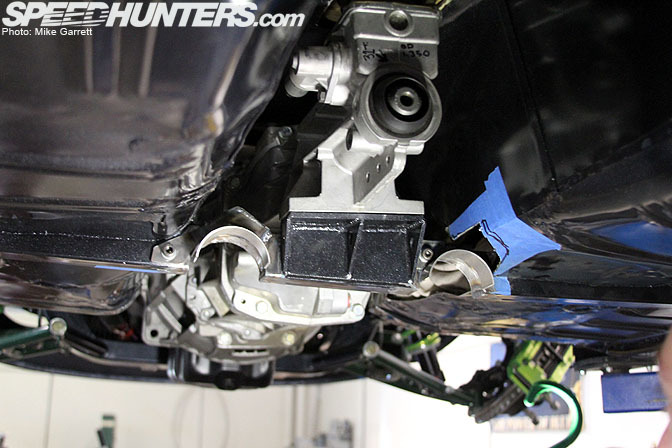 Here you can see how the transmission mount was modified to allow us to get it as tight as we could. 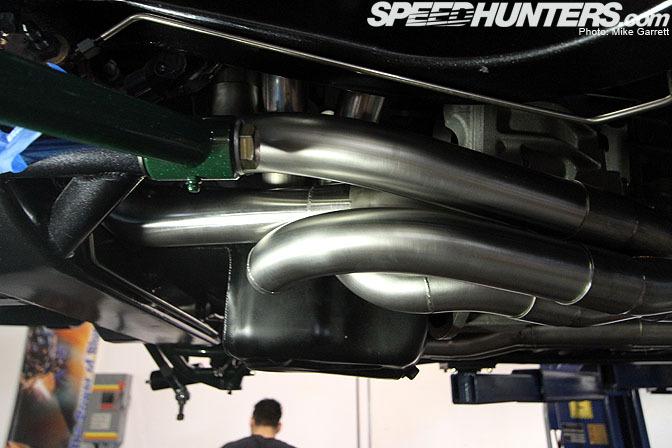 Forget wheels, 2011 is all about "HellaFlush" exhausts!!! 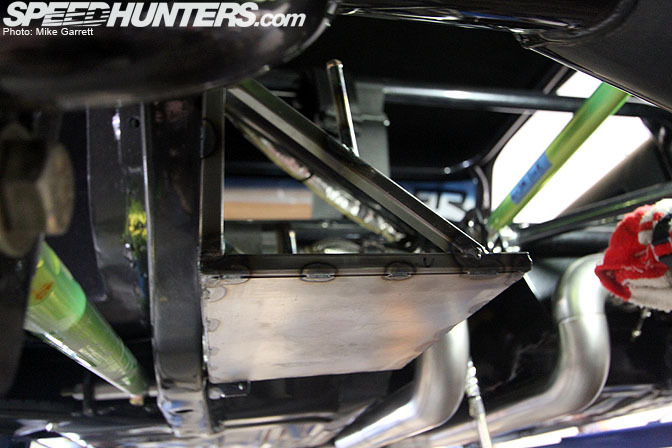 When Steen was building the chassis, we had him build this box for the mufflers to come out of the body. Here you can see how we put that to use. Here is the view from the other side. Koz is a better man than me… I absolutley would have hated to be the one to cut into the RTR-X's body. 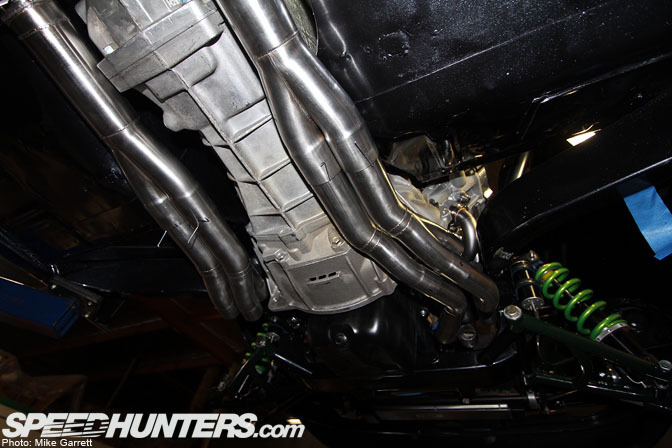 The final connection is in and only one more thing to do for 100% completion of the exhaust. OHHHHHH YEAAAAAA! This will come in handy when people aren't listening, or I need to be heard, or in the occasion that I just want to be a real jerk. 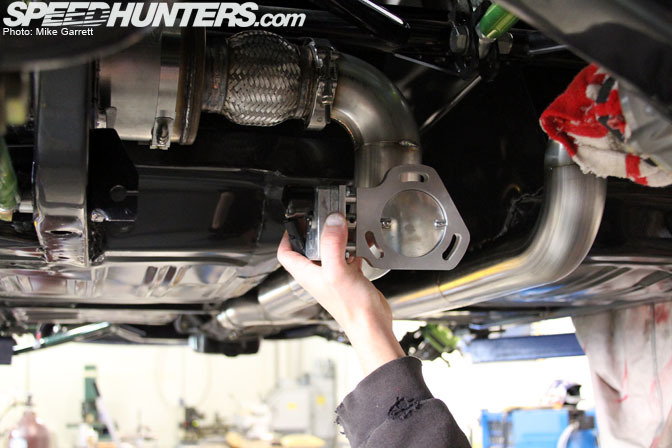 We are installing this Pypes three inch electronic exhaust cutout. 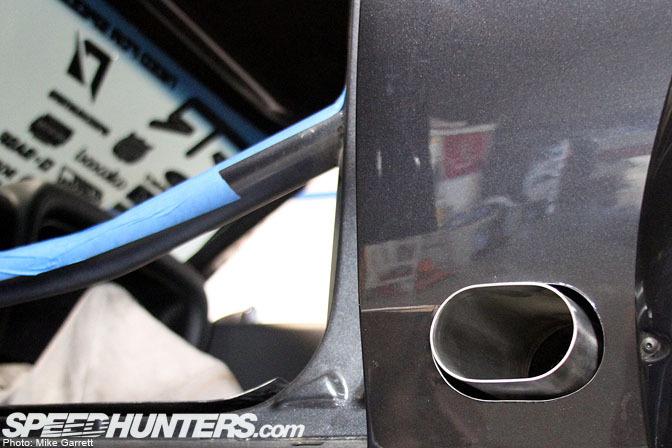 I have a feeling you will be able to feel the RTR-X coming from a mile or so away with this open! 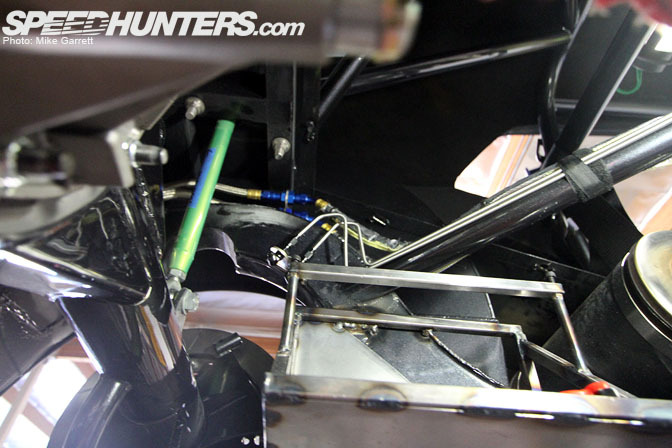 Moving on… as you can see the upper control arm is missing. 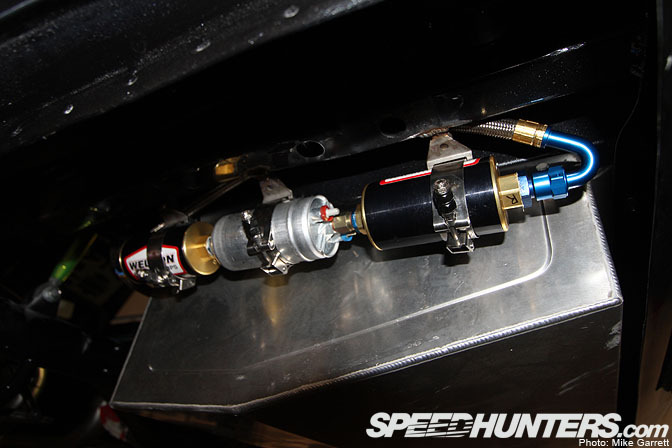 Steen is making a custom adjustable upper control arm so that we can easily make alignment adjustments. 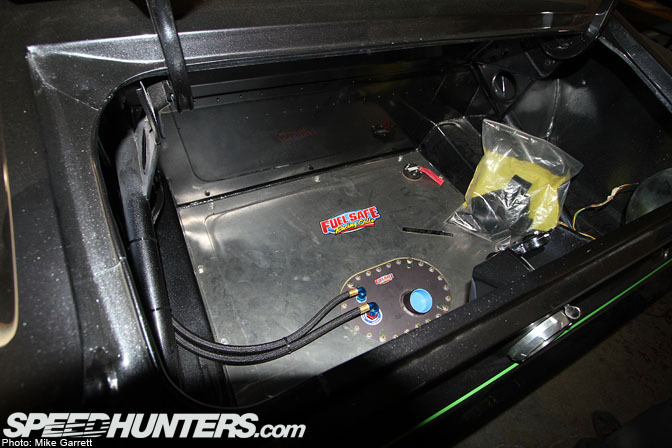 This is the battery box the Twins made keeping the weight low! The fuel system is plumbed. Here you can see the Bosch 044 pump ready for business! Our fuel cell is begging for it's first fill up! 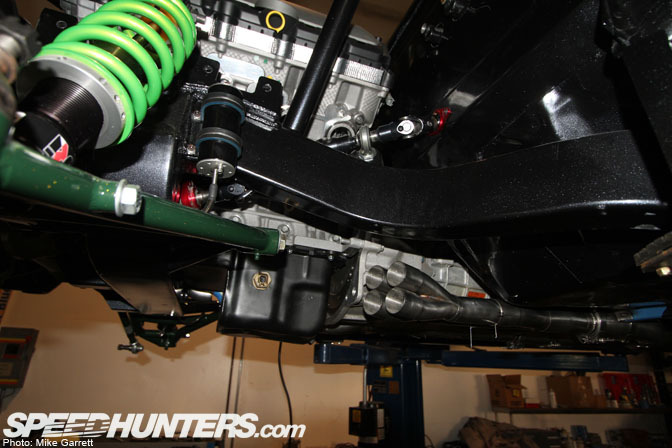 … and rear brake lines are in and just about ready to be bled. Abraham stopped by to build the final carbon panel that our Motec SDL display will sit in, as the one that was seen at SEMA was temporary. 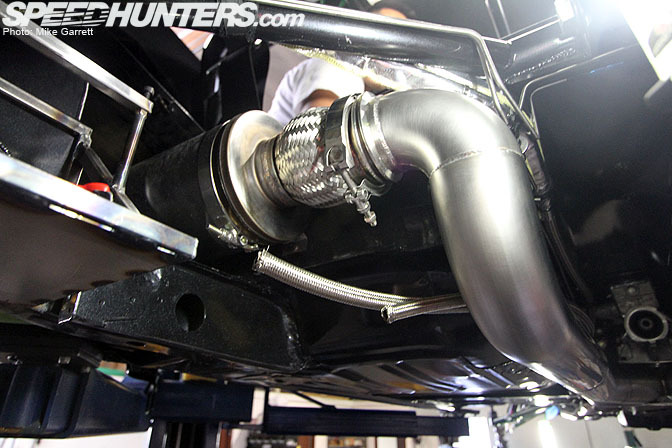 He is also making carbon trim for the exhaust that comes out of the body. 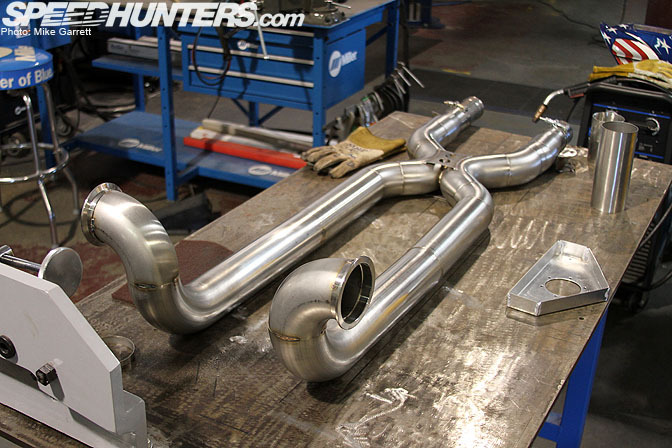 I think you all will agree that the entire crew at Twins Turbo have been going at it pretty hard to get the RTR-X "Ready to Rock". 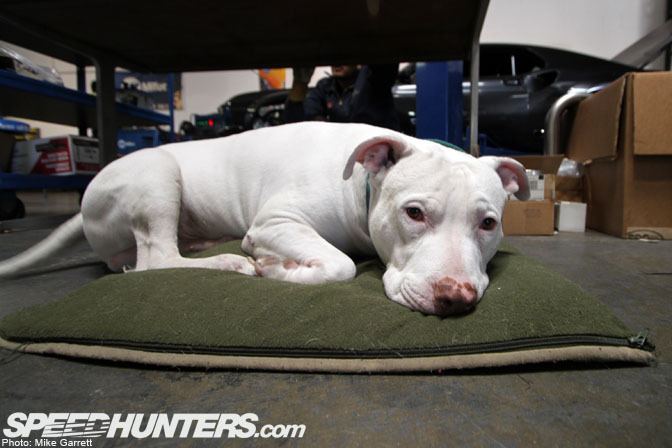 Especially Monster seen here working his tail off! Right now the car is headed back to Auto Explosion to get some minor paint touched up as a result of the added fab work. It then will head back to the Twins for final reassembly, then the Motec crew will be by to tune it!!! Next time I chime in I will be behind this thing, and I'm thinking I will have a huge smile on my face!!! Hope you don't crash it. there will be no 6000 RPM clutch-kicks, absolutely no yanks on the E-brake, I will never mash the right pedal to the floor, and I promise it will never touch the rev limiter. Yo Brent, ever heard of sarcasm? I love the long update! Lots of excellent work! I'd rather looking at multiple fabrication pictures than sick wheels and body kits! I would give my left nut to drive this bad boy! I'm betting that top secret software is just some CAD and CFD program. Amazing, amazing, amazing build. Love it. @ Brent....welcome to breaking in a new motor. You spend $100k fabbing a car then go ahead and hammer the gas as soon as its running. Go ahead. Please report back once you have all the pieces swept off the road. ... we WANT u to hit the rev limiter retard! 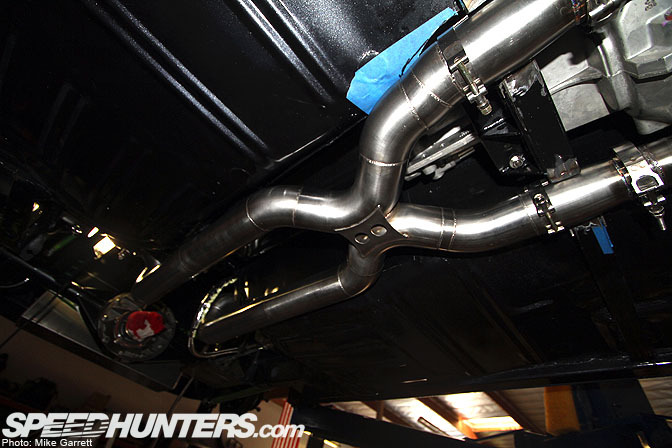 just gave me another reason not to like u.
Gosh I love custom fabbed pipe work! this is dope. 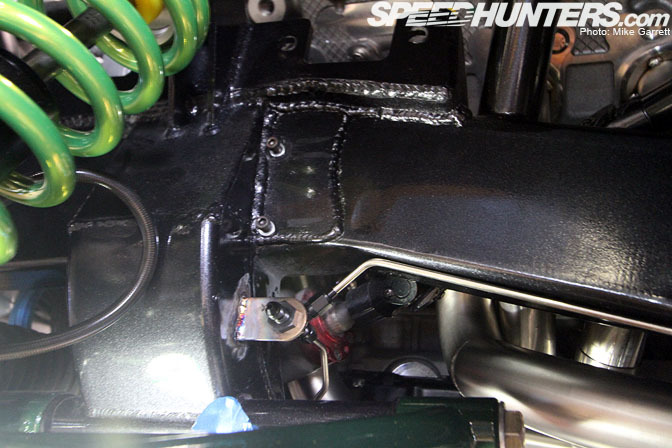 but unfortunately this is also what is sucking the fun out of formula d, it makes it so you cant even hope of placing without a full R&D and a crazy budjet. Absolutely beautiful. Great build Twins Turbo. Excited to see this monster come to life. DO IT! big ups to the twins for their skills AND having a sweet freakin dog. 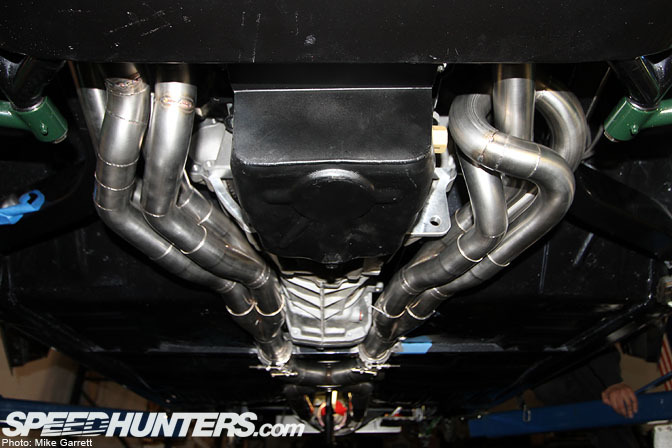 Absolutely beautiful exhaust work, im really diggin' those e-cutouts. Im on the fence about gettin' a pair.. This is not a Formula D car. That has been made very clear. I am pretty sure Vaughn was being sarcastic regarding beating on the car. The car was meant to be used and driven hard. Alex - Don't hate the man because you can't be the man. Jealousy makes you a bitter person. Car looks great guys. Top notch work and dedication! Good Job really, i want to see it in arena and see thats work. f**n awesome guys! Twins made some beautiful car pron, love it, can't wait to hear this thing run! 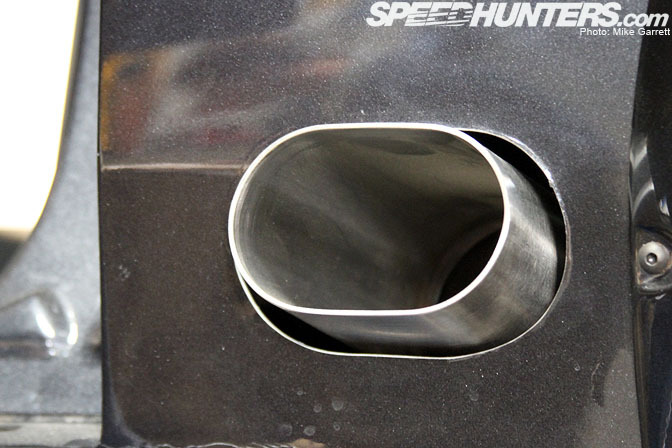 Very nice integration of the exhaust! Be sure to record it's maiden voyage on video and post it!! dude, even if you offered me an opportunity to ride shotgun... id wonder if i was worthy of such beauty. i bow in its presence. 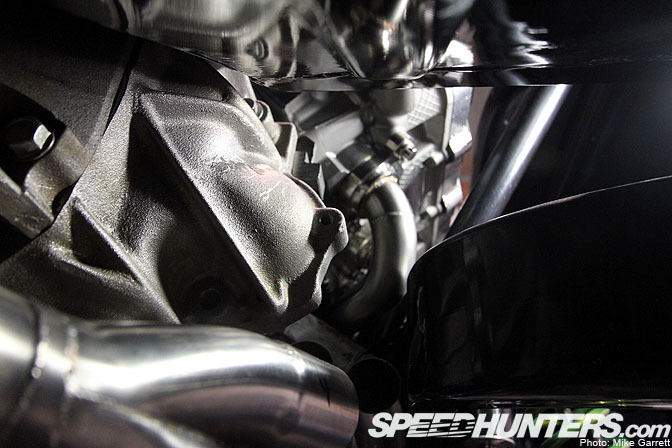 i cant wait to hear the exhaust note and the itbs doing its thing. I must be the only one who thinks it would be a waste to just drift this car..
"The car was meant to be used and driven hard. " Awesome work! You gotta get some good video, sound bytes of that masterpiece. 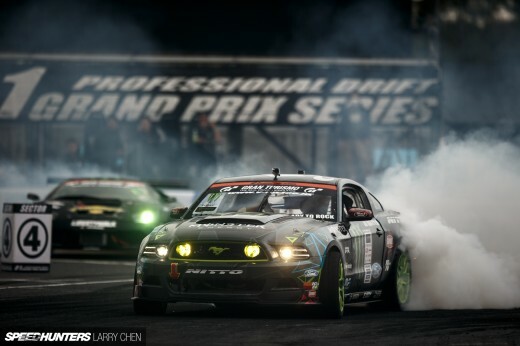 brint it to world time attack, i dont care how it goes i wanna see this beast! I'm counting the day when he hits a wall hard. 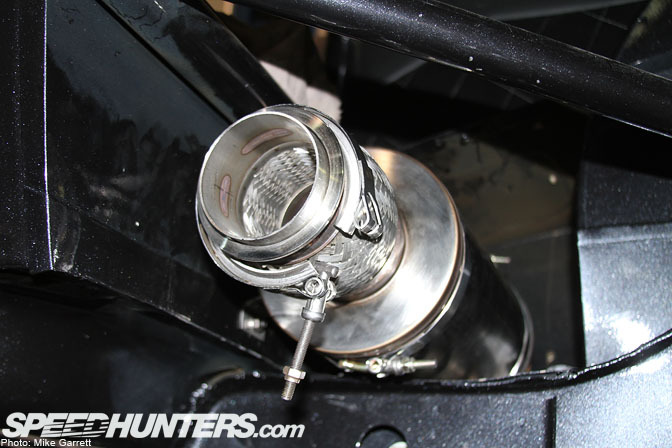 i cant believe your spending all this dosh on this amazing machine and you NOT running a dry sump!